TODAY ONLY -FREE DROP OFF DELIVERY- ELLENBROOK & SURROUNDSPlace Your Orders Now and i will delivery this afternoonDirty Shower? 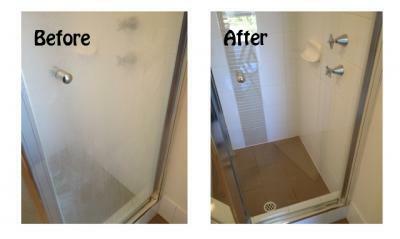 We have the solutionOrder online http://www.whatmess.com.au/collections/bring-it-on-cleaning-products-shower-cleaner-pro-tech-shield-shower-screen-cleanerFinally! A solution to those frustrating stubborn hard water spots, stains, rust and mineral deposits. Thousands of people are enjoying sparkling clear glass windows and tile surfaces that were once hopelessly filthy. They were amazed at how easy it was to remove weeks... months... even YEARS of built-up minerals and spots.How does it work?Bring It On Cleaner is the result of 12 years of research, containing a unique chemical combination designed specifically to break the chemical bonds that hold even the most stubborn stains or deposits on surfaces.Upon application, this amazingly effective cleaner immediately begins working on the outer layer of built-up grime with a powerful oxygen bleach, then attacks the rest with a mild, "jeweller's grade" abrasive, low-pH acid and biodegradable detergent.The Bring It On formula is safe to use without gloves or mask, and is equally effective on soap scum, coffee and berry stains, rust, oil, grease, rubber heel marks, mineral deposits and water stains.Despite its deep cleaning action, Bring It On is safe to use on glass, porcelain, ceramic tile, stainless steel, Corian, aluminium, chrome and fibreglass.To keep your surface looking great for longer, we recommend the use of Pro-Tect Shield after the application of Bring It On in order to fill pores and form a durable, high-gloss silicone seal over the newly-cleaned area, helping to prevent further water stains and build-up for longer.Tip: For extremely stubborn stains, let Bring It On stay on the surface for 10-30 minutes or longer to give it time to break the toughest chemical bonds.